Absolutely AMAZING!!!! Chris helps me every year, and this company has been a god send to work with!!! Jeff Criner did a great job & was so easy to work with!! If i could help in any way it would be to recommend Damon to anyone looking for help with the marketplace and any insurance questions! Not only was he amazing at explaining every insurance question, he also walked us through step by step without me needing to stress over filling out the forms correctly! He helped us find the best insurance for our unique situation so we could continue our needed chemo therapy and unique medications after losing our current medical coverage this year! Thank you Revive and Damon for your care and help! I’m so thankful for Revive and Allen Booth! He has been so amazing making sure that I get the best deal in insurance! He has been wonderful answering all of my questions and helping me navigate through the healthcare market. 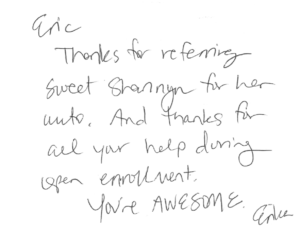 I couldn’t be happier and I highly recommend getting in touch with Allen for all of your health insurance needs!! Absolutely impressed with how much help we received! Our Insurance Agent, Damon, was incredible. He helped us learn about our policy options and made us feel like a weight has been lifted from our shoulders. We are extremely grateful for the great care Damon gave us with the struggle of find good health insurance. Jeff helped me when I was in a pickle, I needed insurance within the week and could not deal with the hassle of “the marketplace” When all was said in done Jeff was in and out of “the marketplace” with a few options, I picked one and it was sorted out before my week was over. Thanks Jeff! I worked with Chris Norton for a number of years and he is amazing to work with. I am not well versed with the world of insurance but he was always patient and transparent with me. I highly recommended him to anyone needing assistance with health insurance and life insurance. Jeff keeps me updated with my healthcare coverage and plan details. Very personable and informed with changes in the market and healthcare industry– recommend his services and knowledge for individual insurance. Wants the best fit for his clients and their needs. If you’re looking for some help with insurance, Jeff Criner is your guy! He has been so amazing to us and made the process simple and easy! I would highly recommend him. Chris Norton has bent over backwards for me and my family. He is always such great help. Thank you Chris for all the time you devote to us. Damon was wonderful to work with. He answered all of our questions and made the process of purchasing health insurance stress free and easy. Allan has been awesome and very clear about the process, nothing but a great experience with Revivie. They’ve kept me up to date and really did 99% of the work, makes it super easy on me to just run my business. Jeff was very helpful. I recommend working with him for a quick and easy insurance overview and signup. Joshua Roberts is my agent and he’s the bomb. He does a great deal for the community getting out and getting people sick deals on insurance. I am nothing but pleased. Tell yo friends! Mahalo to Jeff Criner for his awesome service. He makes it easier for us who has no idea what to do. Aloha Revive insurance. These guys are amazing. They do all the leg work and found me a great plan in minutes. 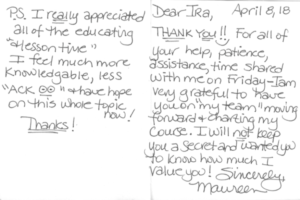 I was scared to begin the process of finding coverage and was glad to reach Ira today. It looks like I’m enrolled ( he was able to do this over the phone fyi ).